People celebrate in many different ways in order to mark the beginning of the New Year, with some enjoying celebrations that last for several days as the New Year approaches. 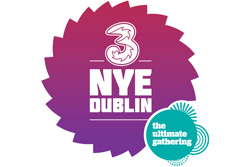 One place in which you can really celebrate the coming year is Dublin City, which is where you will find the Three NYE even taking place between 29th December 2013 and 1st January 2014. 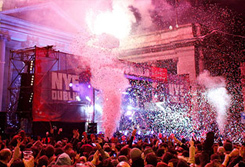 If you want to celebrate the coming of the New Year in real style, you should hire a limo in Dublin and get yourself over to this vibrant festival, which will be attended by many people who want to enjoy excitement, fun, and entertainment. 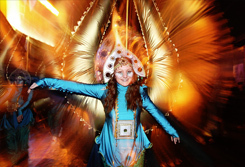 Four days of incredible atmosphere, a huge variety of activities and great fun means that you will be able to wave goodbye to 2013 in the most memorable way. When you hire a limo to attend this event you can enjoy making the experience even more exciting and memorable for yourself and your friends. If you are planning to come to this event with your friends or family members, limo hire is the perfect way to make the most of this exciting festival. You will be able to immerse yourself in the vibrant atmosphere created by the entertainment, the people, and the time of year, and you can look forward to a host of activities and fun over the four day period. In addition to fabulous the musical entertainment that is provided, you will also enjoy a day of thrilling racing at Leopardstown, the chance to explore Dublin City on Love Dublin Day, the incredible celebrations that are set to take place on New Year’s Eve, and the grand finale of the Big Brunch in New Year’s Day. If you would like to bring your group to ring in the New Year at Three NYE, Absolute Limos will get you all there in comfort and safety. It’s super easy to hire a luxury limo, wedding car or party bus, so click here to book now, or contact us at info@absolutelimos.ie or 087 122 -3532 / 087 933-3378. Everyone has their own idea of how to celebrate on New Year’s Eve as they prepare to welcome the New Year. If you are in Dublin for New Year’ Eve you will be able experience something completely unique, magical and wonderful, in the form of the People’s Procession of Light. If you are planning to come over with your friends and family to take part in this incredible event, make sure you hire a limo in Dublin and arrive in style for an experience that will stay with you for many years to come. This is a hugely popular event that is attended by huge numbers of people, with many hiring a limo or bus to come over in groups with their family or friends. The sheer number of people and the magical surroundings help to create a wonderful, vibrant atmosphere, which help to make the event all the more special. 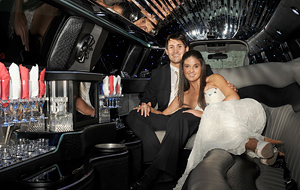 When you hire a limo to come to this event, you will be able to make your experience all the most memorable and exciting. 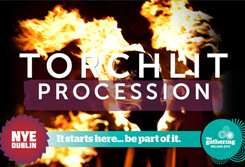 This procession is a great event for the whole family to enjoy, and you can all watch together as the streets of the city are illuminated to transform Dublin into a magical wonderland. This is a fun filled event that provides a wonderful way to say goodbye to the old year and start welcoming in the new. The procession is made all the more exciting by the fact that there will be performers lining the streets as well as a variety of costumed characters. This makes the procession an incredibly colourful affair as well as an entertaining, enchanting, and exciting one for all concerned. The great thing is that you can actually get involved rather than just being a spectator, which adds to the fun and excitement. If you would like to bring your group to experience Dublin’s Magical People’s Procession of Light, Absolute Limos will get you all there in comfort and safety. It’s super easy to hire a luxury limo, wedding car or party bus, so click here to book now, or contact us at info@absolutelimos.ie or 087 122 -3532 / 087 933-3378. 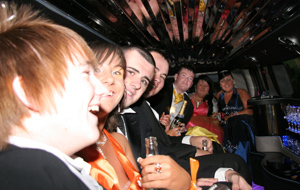 If you consider yourself something of a culture vulture and you want to enjoy the delights that the vibrant city of Dublin has to offer, you should hire a limo and make the most of the incredible entertainment on offer on 30th December 2013. This is the date of Love Dublin Day – and when you and your friends hire a limo in Dublin, you will be able to make the most of an incredible day and really enjoy the opportunity to explore. This is a day when you will be able to take in the arts, culture and fantastic music events completely free of charge, and you’ll enjoy them at some of the city’s coolest venues. When you treat yourself to limo hire you can explore the wonders of Dublin in real style and comfort, turning this day into an even more memorable and exciting experience. When you come to Dublin for this special day, you will be in store for a range of cultural, historical and entertainment treats. In addition to some exciting musical performances you can do everything from take a tour of the cathedral to explore the historical areas of the city. 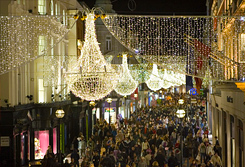 This day is part of the NYE Dublin event, which also includes a day at the races, the Three New Year’s Eve festivities along with the People’s Procession of Light, and the Big Brunch on New Year’s Day. This is an event that is designed to bring in the New Year in style, as you enjoy four days of great entertainment and activities. 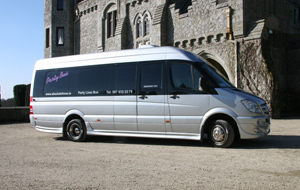 Hiring a limo for this special occasion means that you can make your time in Dublin all the more special and memorable. 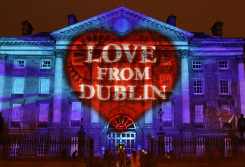 If you would like to bring your group to celebrate Love Dublin Day, Absolute Limos will get you all there in comfort and safety. It’s super easy to hire a luxury limo, wedding car or party bus, so click here to book now, or contact us at info@absolutelimos.ie or 087 122 -3532 / 087 933-3378. 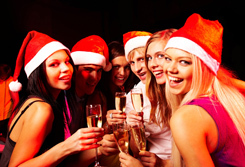 Pile into a Limo and Head Out to Your Christmas Party! Christmas is a time that is filled with parties, events, celebrations, and social events. This is the time of year when we can all get dressed up, feel and look glamorous, and enjoy heading out to really let our hair down at the Christmas party. If you want to add an extra layer of excitement to your party this year, one way to do it is to get the gang together and hire a limo. 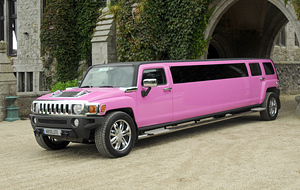 When you hire a limo in Dublin you can really make the most of your special night. Christmas comes but once a year, so if you have a special party to go to it is well worth pushing the boat out and making a really special night of it. By hiring a limo you and your friends will not only feel as glamorous as you look, but you will also get to travel there in comfort and arrive in real style – a great chance to make the ultimate entrance and kick start your party on the right footing. 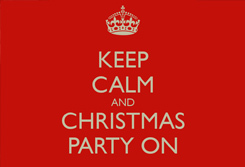 Get the Christmas Party started early! A limo is also a great way to get the party started early, as you can start your celebrations as soon as you step outside the front door. With a stunning, eye-catching vehicles that has state of the art entertainment, plush seating, and a bar area, you and your friends will be able to get into the mood for the night ahead with ease. With a range of different limo sizes and options available you can find something to suit all needs, so whether there are just a few of you or a large group heading to the party, all of you can enjoy travelling and arriving in comfort, elegance and style. If you would like to bring your group to your Christmas Party in a Limo, Absolute Limos will get you all there in comfort and safety. 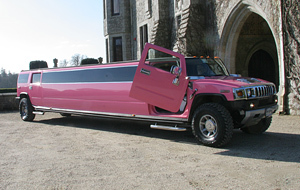 It’s super easy to hire a luxury limo, wedding car or party bus, so click here to book now, or contact us at info@absolutelimos.ie or 087 122 -3532 / 087 933-3378. Christmas is a wonderful time of year enjoyed by adults and children alike, and there is so much to see and do over this period. From events and festivals to magical markets, parties, and social events, the fun never stops when Christmas rolls around. 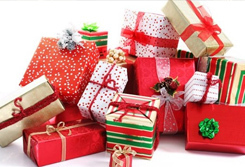 However, one thing that many people do not like during this season is having to think of gifts to buy for loved ones. If you don’t want to trot out the same old gifts again this year, it is well worth thinking about treating your loved ones to a night out by way of a gift. If you are heading to Dublin, one great option is to treat your friends to a fabulous Christmas night out at the Abbey Theatre, where you can enjoy one of a range of excellent performances. 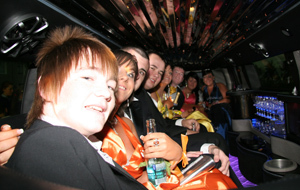 To make the night even more special, you can hire a limo in Dublin and arrive at the theatre in real style. When you treat your friends to a night out at the theatre for Christmas, you will be giving them a unique gift that is not going to end up shoved in some cupboard in their home. By hiring a limo and whisking your friends to the Abbey Theatre you will give them a gift that they can really remember and enjoy. There are a number of performances you can choose from at the Abbey Theatre, so all you need to do is check the performances that will be showing on the date you wish to go. You can then get your tickets booked, hire your limo, and start looking forward to a fabulous night of fun, glamour, elegance and culture with your friends. 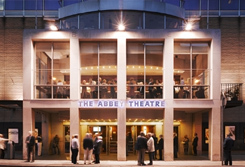 If you would like to bring your group to the Abbey Theatre, Absolute Limos will get you all there in comfort and safety. It’s super easy to hire a luxury limo, wedding car or party bus, so click here to book now, or contact us at info@absolutelimos.ie or 087 122 -3532 / 087 933-3378. Dublin is a city that is truly fascinating on many levels, with a huge amount to see, do and explore. There are many wonderful attractions to explore in this city, and the perfect way to get around and make the most of this destination is to hire a limo and Dublin and explore in style and comfort. By opting for limo hire, Dublin visitors can relax and unwind as they are whisked to the various wonderful attractions in style. 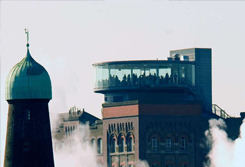 One attraction that you should not miss while in the city is the hugely popular Guinness Storehouse, which has become one of the top attractions in the area. 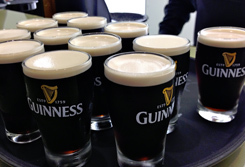 A real Irish institution that relates to a beverage that has become a firm favourite all around the world, this is a place where you can learn about the history of Guinness, learn about the brand, and find out about the brewing process. With its unique design that reflects a giant pint of Guinness, this attraction offers an exciting and fascinating insight into the story of Arthur Guinness, who founded the brewery in the late 1750s. When you hire a limo to get to this attraction, you can arrive feeling relaxed, refreshed, and ready to learn all about the Guinness story. Located at the St James’ Gate Brewery, the Storehouse enables you to find out more about how the story began more than two and a half centuries ago. You will be able to find out more about the creation of the brand as well as how this much-loved beverage is created. Once you’ve finished the tour, you can look forward to heading to the Gravity Bar, where you will be able to take in incredible views while enjoying a pint of Guinness for yourself. If you would like to bring your group to the Guinness Storehouse and explore Dublin in a Limo, Absolute Limos will get you all there in comfort and safety. It’s super easy to hire a luxury limo, wedding car or party bus, so click here to book now, or contact us at info@absolutelimos.ie or 087 122 -3532 / 087 933-3378. If you’re heading to Dublin to do some Christmas shopping this year, you will be in for a real treat, as there are so many wonderful shops to choose from and so many great gift options available. Shopping for Christmas gifts and goodies can be incredibly exciting, especially for those who are into their retail therapy. One way in which you can make your experience even more special and fun is by hiring a limo in Dublin to get you back home. For those who are planning to shop till they drop, limo hire is the perfect way to enjoy a relaxing and unique end to your shopping trip. You can relax in comfort after a hard day of browsing and shopping, sip a glass of wine, and simply kick back and relax. When you hire a limo for your shopping trip you can also enjoy feeling really glamorous and taking your Christmas shopping experience to a whole new level. Whether you live in the Dublin area or whether you are simply visiting and staying in a hotel, a limo will enable you to travel back from your Christmas shopping trip in true style. Not only will you be able to get all of your purchases back to your home or hotel with no bother but you will also be able to take the weight off your feet, relax in the comfort of your vehicle, and enjoy exemplary service as you head back to your home or hotel. If you’re shopping with friends, this is an even more exciting experience, as you all get to enjoy travelling back in luxury with a chilled drink and your own chauffeur. If you would like to bring your group to go Christmas Shopping in a Limo, Absolute Limos will get you all there in comfort and safety. 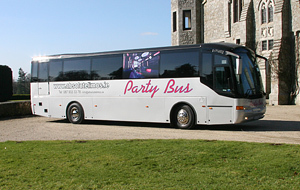 It’s super easy to hire a luxury limo, wedding car or party bus, so click here to book now, or contact us at info@absolutelimos.ie or 087 122 -3532 / 087 933-3378. When Christmas comes around, everyone starts to look forward to the wide variety of events, entertainment, festivals, and concerts that take place in destinations all around Ireland. These provide a fabulous way to get into the festive spirit and enjoy some fun and excitement during the Christmas period. 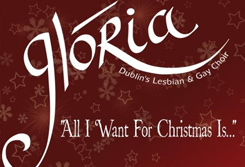 If you are looking for a vibrant and festive event to enjoy this year, one great option is the Glória Christmas concert at St. Patrick’s Cathedral in Dublin. 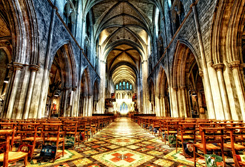 If you want to make a night of it, you can even push the boat out and hire a limo in Dublin, which means that you can arrive at the beautiful cathedral in style and comfort. For those going to this concert with friends, hiring a limo is even more fun, as you can all relax and enjoy a glass of wine on your way to the concert to really get into the spirit of things. You can then look forward to an evening of excellent entertainment that will leave you with last memories. When you hire a limo and head to St Patrick’s Cathedral for this musical extravaganza, you will in for a great night of entertainment. In addition to some fabulous classic Christmas songs, the choir will be treating the audience to a wide range of other musical treats in a variety of genres. This provides a great way to immerse yourself both in the stunning surroundings of the cathedral and the festive spirit that will surround you when you come to this popular event. The concert takes place on December 13th 2013 and with demand expected to be high those who wish to attend are advised to get their tickets sorted out in advance. If you would like to bring your group to experience Glória Christmas concert at St. Patrick’s Cathedral, Absolute Limos will get you all there in comfort and safety. It’s super easy to hire a luxury limo, wedding car or party bus, so click here to book now, or contact us at info@absolutelimos.ie or 087 122 -3532 / 087 933-3378. Christmas is a wonderful time to attend concerts, as these can really get you into the festive spirit and provide a great way to soak up the magic of the season. 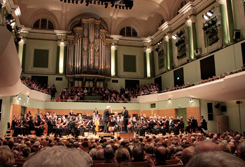 There are many different concerts that take place in venues around Ireland and one of the most magical is set to take place in Dublin’s National Concert Hall between 20th and 22nd December 2013. If you want a night of festive entertainment, culture, and magic, the Christmas concert featuring The Snowman is a wonderful idea and a great place to bring the family. In fact, you can make the experience even more magical when you hire a limo in Dublin and whisk your loved ones to this incredible concert in complete comfort and luxury. By hiring a limo, you and your loved ones can arrive at the concert hall in style, where you can then look forward to a festive extravaganza in elegant surroundings. No matter what your age, you will love the magical entertainment that awaits at this concert. 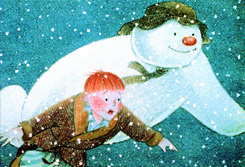 The showing of The Snowman will be a particular highlight for many people, and this presentation will be narrated by Pauline McLynn. 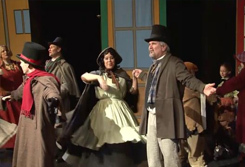 In addition to the showing of this true Christmas classic there will also be plenty of other festive performances including The Nutcracker with shadow puppet animation, live orchestral performances, and a concert that features a variety of festive songs. This is a concert that will provide you and your family with a wonderful festive experience in the run up to Christmas, and hiring a limo for your special outing will make this experience even more memorable and exciting for both the kids and the adults. If you would like to bring your group to see the The Snowman at the National Concert Hall, Absolute Limos will get you all there in comfort and safety. 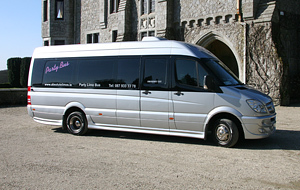 It’s super easy to hire a luxury limo, wedding car or party bus, so click here to book now, or contact us at info@absolutelimos.ie or 087 122 -3532 / 087 933-3378. If you are looking to do some unique Christmas shopping this year, looking at the variety of beautifully handcrafted items you will find at the various Christmas fairs is a great idea. 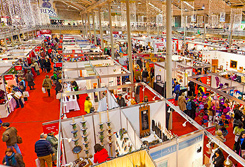 One place where you will find some stunning creations for sale is at the National Crafts & Design Fair, Ballsbridge, in Dublin. This is a vibrant event where you will be able to enjoy access to some really unique products that are for sale as well as getting to immerse yourself in the festive atmosphere of this colourful event. If you want to make a real day of it, you can hire a limo to treat your family to a really wonderful festive experience when you come to this fair. With the fabulous atmosphere that you get to enjoy at this event, you will find that it is the perfect place for the whole family to enjoy getting into the mood for Christmas. Alternatively, you might want to head over with your friends for some unique retail therapy, and when you hire a limo in Dublin you can enjoy arriving in real style. If you’re fed up of trotting out the same old gifts year in, year out for your loved ones, it is definitely worth hiring a limo and heading over to this fascinating craft fair. You will find an array of different creations to choose from, many of which will make ideal and unique gifts for your friends and family. Some of the options you can choose from include fashion, accessories, handmade ornaments, stunning jewellery items, delicious edible items, and many other wonderful carefully crafted items. 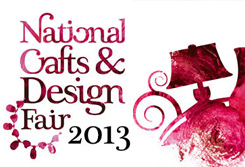 If you would like to bring your group to the National Crafts & Design Fair, Absolute Limos will get you all there in comfort and safety. 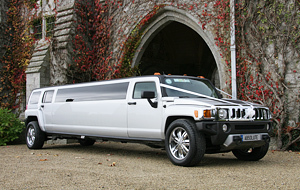 It’s super easy to hire a luxury limo, wedding car or party bus, so click here to book now, or contact us at info@absolutelimos.ie or 087 122 -3532 / 087 933-3378.